COMCORP (7195) used one day wipe out 28.9% share price. Will it be technical rebound? Or going side way? 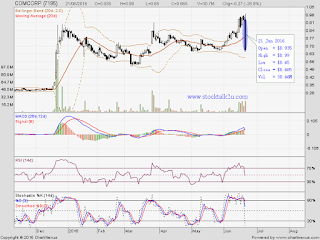 Immediate resistance @ RM0.75 level. 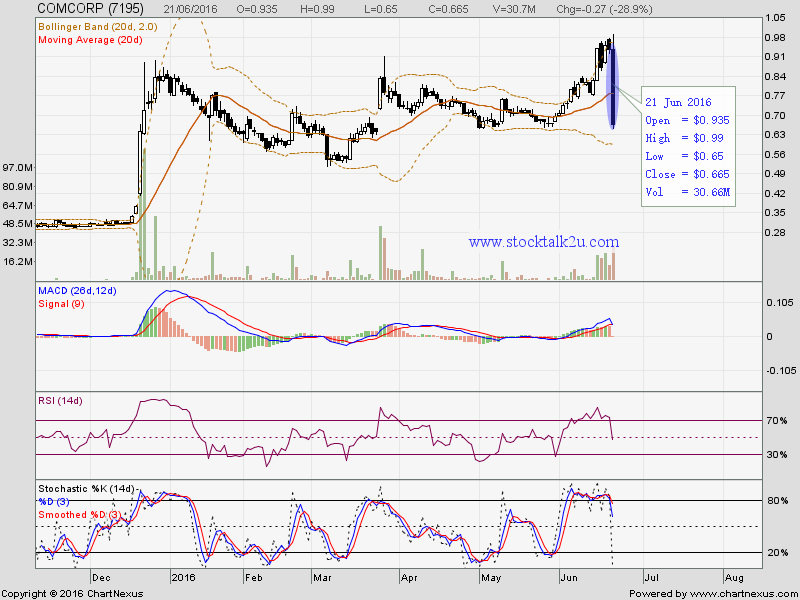 Subsequent resistance @ RM0.80 level. Immediate support @ RM0.65 level. Subsequent support @ RM0.62 level.